Diane Dimond talks with TV Time Machine radio host Jim Benson about her new crime special, Casey Anthony: An American Murder Mystery, which premieres Sunday, April 9th at 10 PM, only on Investigation Discovery. In this audio edition of the TV Time Machine, we welcome Diane Dimond of Casey Anthony: An American Murder Mystery. 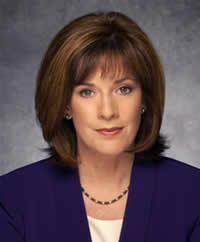 Ms. Dimond is a renowned investigative journalist, best known for her ground-breaking reporting on such shows as Hard Copy, Extra, Entertainment Tonight, and Court TV. Over the audio next segment, Diane Dimond talks about the tragic death of Caylee Anthony, and the new evidence in the case which will be revealed in Casey Anthony: An American Murder Mystery, which premieres Sunday, April 9th at 10 PM, only on Investigation Discovery. Again, for those of you intrepid enough to relive this tragic case, feel free to examine the evidence with us, as we seek new answers from the past, in order to find some sort of closure, in the present.